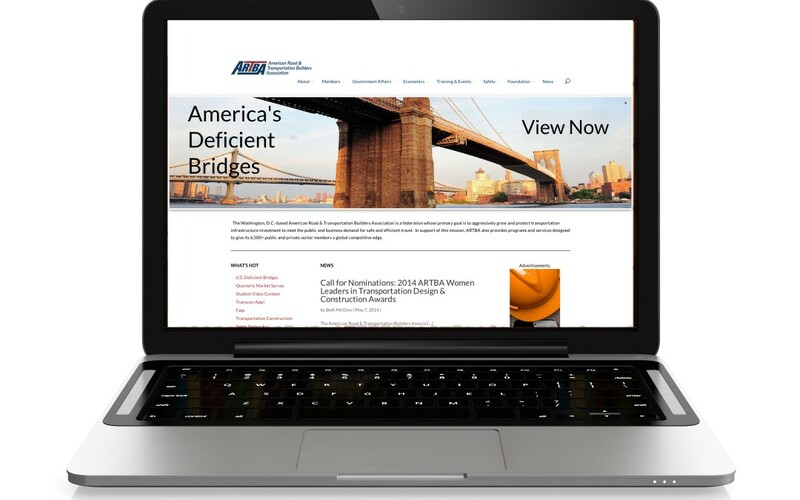 A modern look, improved navigation, content that easily consumed on your smartphone, tablet, laptop or desktop computer, and integrated social media sharing capabilities are among the key elements of the newly redesigned www.artba.org – the association’s flagship website. Social Media Sharing Capabilities: Each page contains clickable social media icons—such as Twitter, Linked In, Google+, YouTube and Facebook allowing visitors to easily share pages, articles, photos and blog posts with their own network of friends and followers, expanding ARTBA’s message to new audiences. Pictures & Videos: Expanded use of visual story telling through photos, videos and graphics provides a cleaner look and better user experience. Interactive Maps: Clickable maps allow industry stakeholders, congressional staff and other visitors to easily access and share data about their state’s transportation network and construction market.